Welcome to your April Distributor Newsletter. It’s been an exciting month here at Vertilux HQ, and we can’t wait to share our news with you..
We take you into May with a new online display of our stunning new Mottura Curtain Tracks range, a brand new Vertilux motor, and some valuable production information. 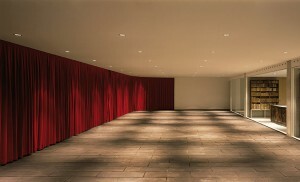 MOTTURA CURTAIN TRACKS WEBSITE GALLERY NOW LIVE! 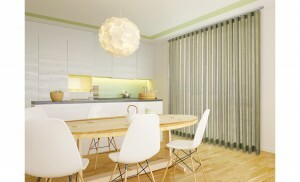 We are delighted to share our new online gallery of our Mottura Curtain Tracks range. From Separè 458 to the Motorised Power 571, these images showcase how these systems can suit any requirement. You can view the stunning new gallery images here. NEW VERTILUX MOTOR NOW AVAILABLE! Complementing our popular RT Motor, the Vertilux SMART 35 WT Motor is the newest addition to the Vertilux motor range, offering excellent value for money and performance without compromising on quality or reliability. Exceptionally quiet, it has been carefully selected to provide sustainable solutions for interior roller blinds. 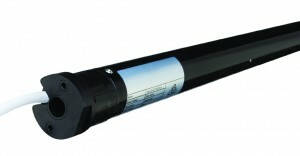 The motor has a 5 year warranty and Regulatory Compliance Mark (RCM) certification. Download the technical data sheet here for more details. Over the last few weeks, we have encountered some issues with customers doubling up on orders, when trying to submit an amended order. All orders, including amended orders must be sent to orders@vertilux.com.au and CC the relevant Vertilux staff member, if required. Please be sure to clearly label that this is an amended order, so we can ensure the order isn’t duplicated instead. Timbers are one of our oldest, and still most popular ranges. 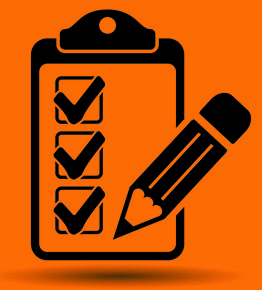 A lot of work goes into these products, so we want to ensure that the correct information is included in your orders. Sometimes, with smaller blinds, this can get complex. 200-300mm: Tilter only available the in middle. Cord on left or right. 450mm and up: Normal controls. 172-220mm: Tilter in middle. Cord on left or right. 350mm and up: Normal controls. We are also making some small changes to our packaging systems, to ensure that your orders arrive to you in their best possible condition. 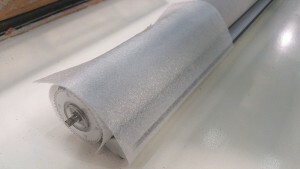 Our packing team now place foam strips between the fabric and base rail on each end of a roller blind (and an additional strip in the middle for wider width blinds) to avoid the base rail rubbing against fabric. Need to access data sheets or other information in a hurry? Don’t forget that we have a massive amount of information available 24/7 on our website. 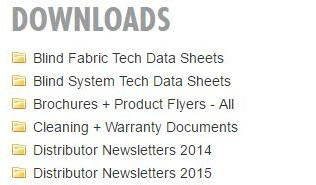 From system and fabric data sheets to warranty information, brochures to our online order form guides, everything can be found in the Members menu at the bottom of the homepage.